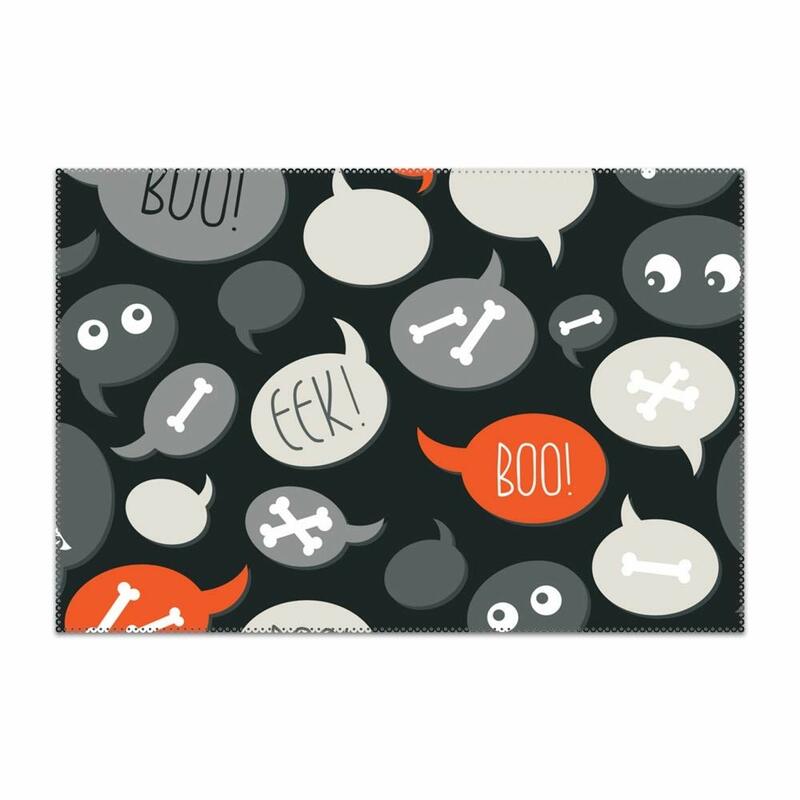 Add to your boo-tiful Halloween holiday decor with this set of 4 colorful square placemats. 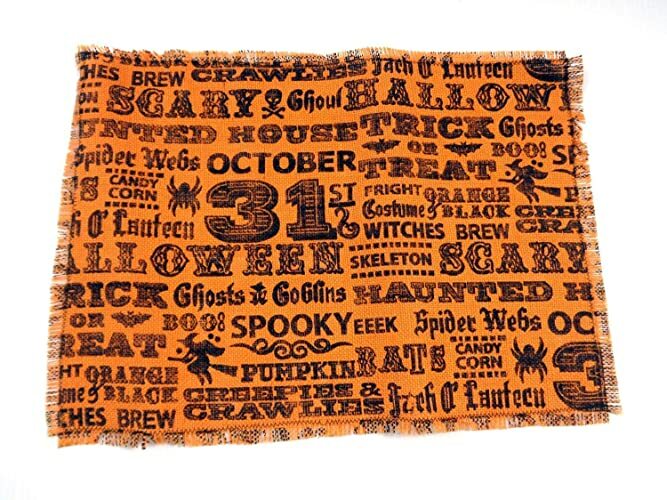 A chalkboard type patterned fabric is featured along with bright orange and purple pumpkins. 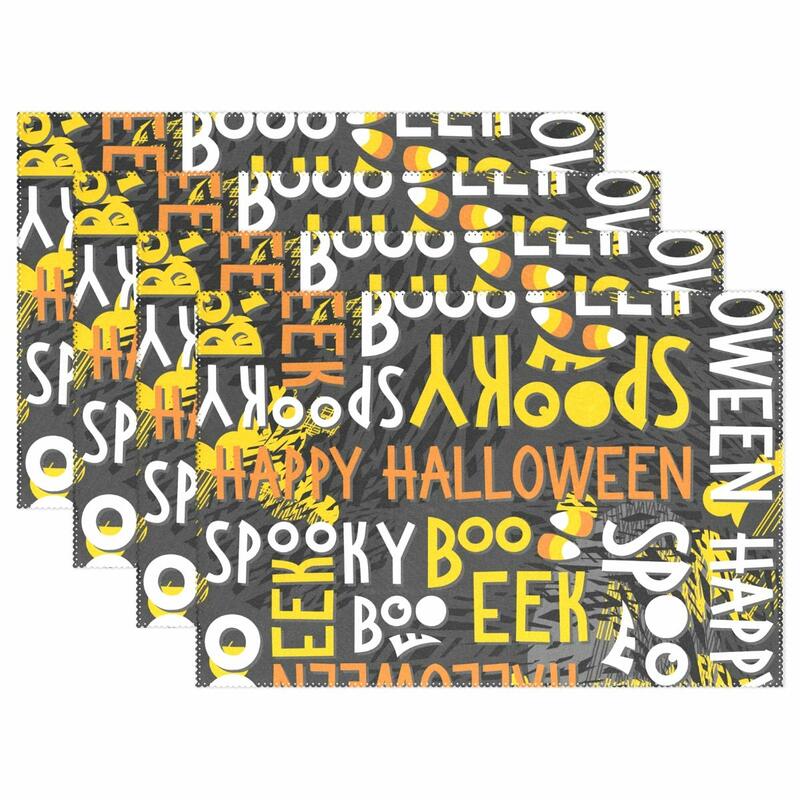 Please note that due to print placement on the fabric, each placement differs in appearence. This differenc is only in the center of the placemat, in the chalkboard print. 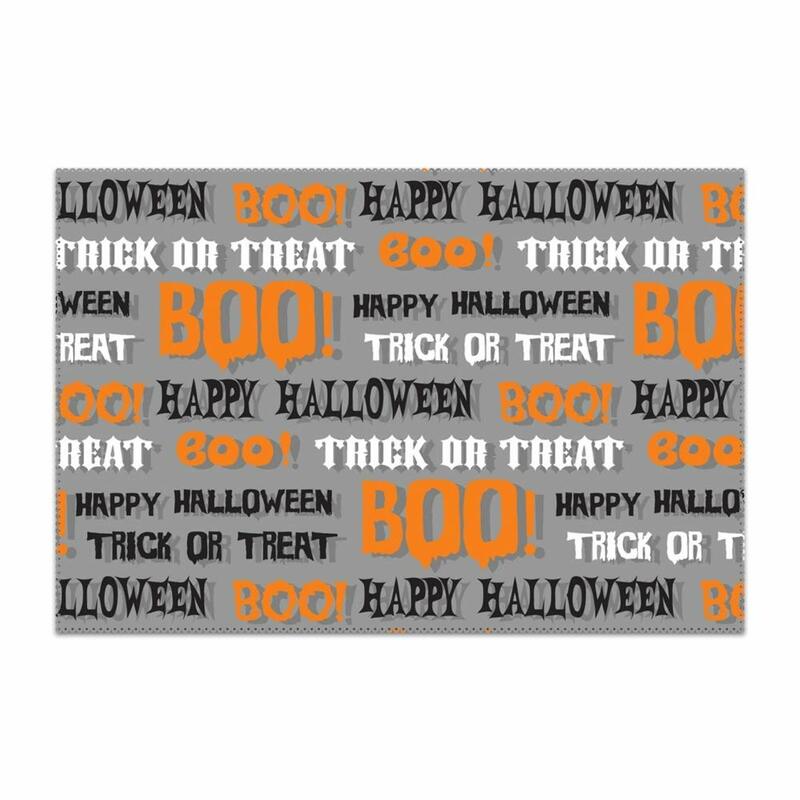 The backing fabric is a hauntingly beautiful arrangement of black and gray reminiscent of the chalkboard print background. Quilting is done as a meandering stipple stitch in black thread. Insul-Brite was used as the batting, and helps to protect your furniture from heated items. 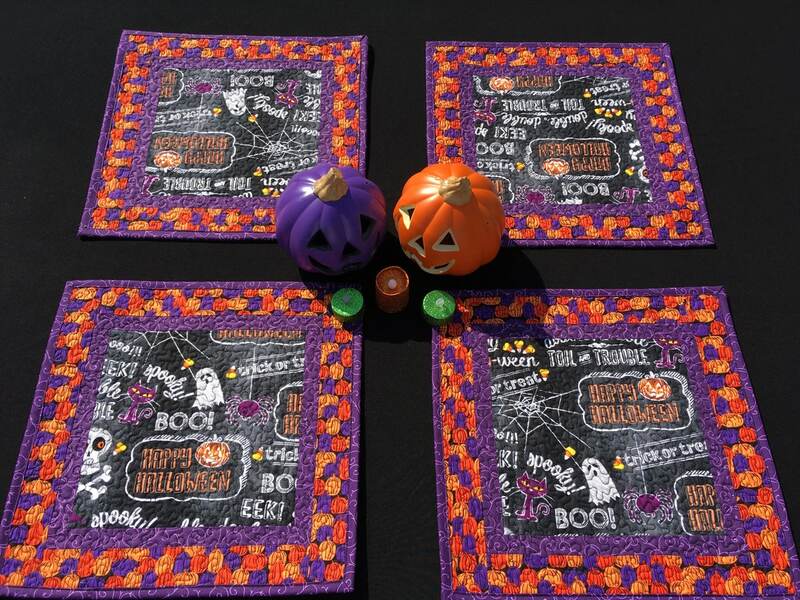 This burlap placemats are reinforced with stitching all around and frayed to create fringes. 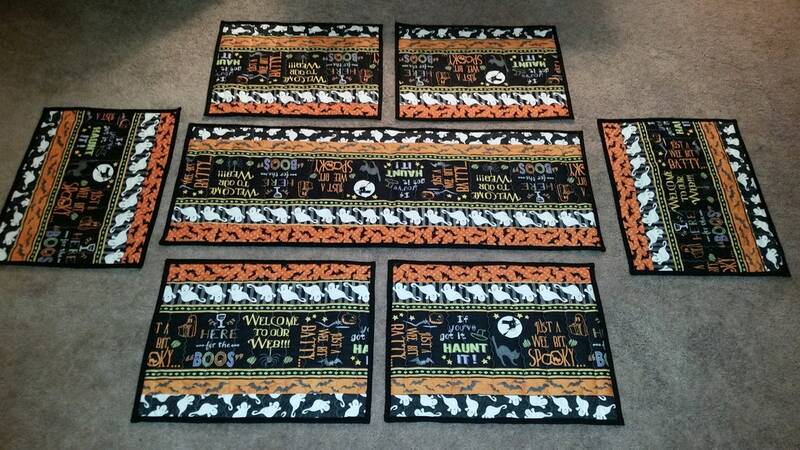 Price is for 1 set of 4 unique placemats. Measures about 20 inches by 14 inches. Each piece is unique. Very limited availability.